AD-VERSITY is here to take the time consuming task of advertising your services/products off your hands. 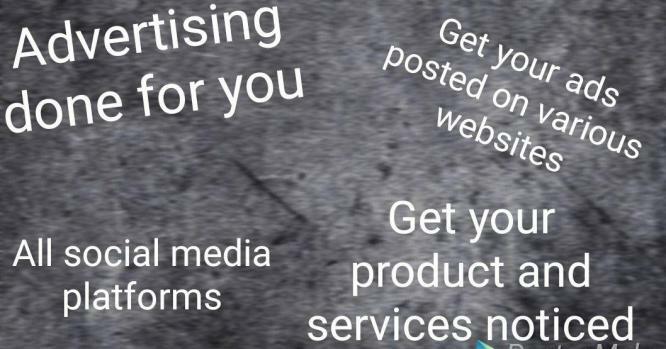 Ads will be posted on social media and Ad relevant websites on a weekly basis starting from R180 per week. Logo’s, posters and Facebook pages can be created and made up to suit your specific requirements to get your message out there and boost your business. Thinking outside the box so you don’t have to! 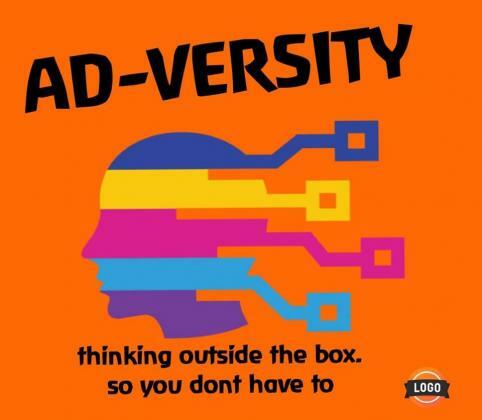 AD-VERSITY prioritizes the needs of each client. We strive to help you find your creative voice through a variety of services. We are a culture of thinkers and makers who have been bringing our clients’ ideas into existence since 2018. Our business works closely with each brand in order to create solid communication strategies that will produce measurable results. Starting from as little as R180 per week. Logo's, posters, Facebook pages and small websites can be created and made up to your specific requirements and needs to get your message out there and boost your business.